18 ft. Bottom Weatherseal for Garage Door Provides a tight seal between your steel garage door and concrete floor with the Clopay Garage Door replacement bottom weather seal kit. This easy to install kit helps keep out items such as water, dirt, insects and pests from entering your garage. The flexible rubber even conforms to uneven floors to create that tight seal. 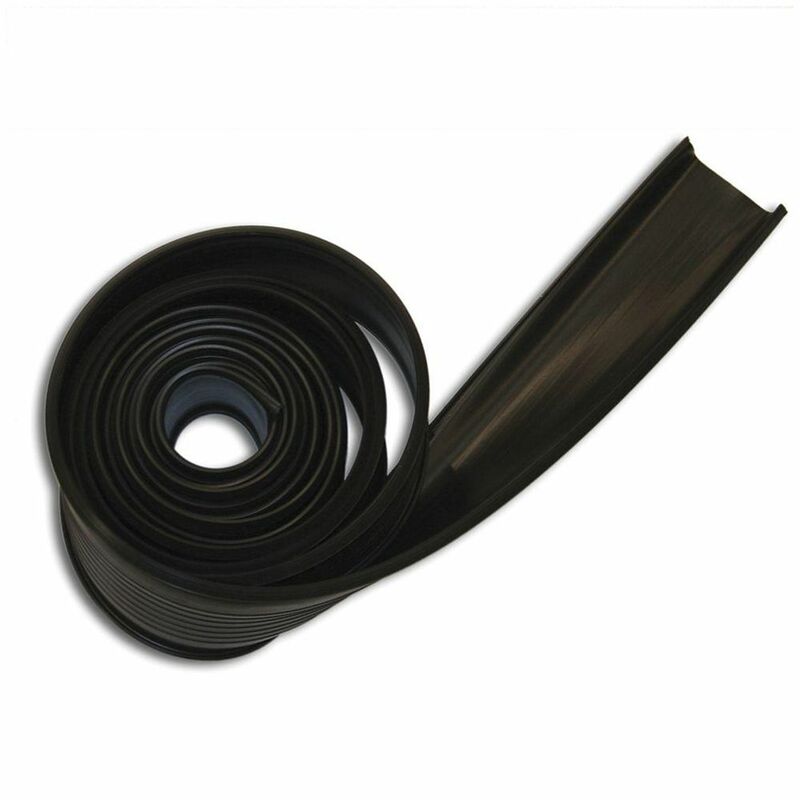 18 ft. Bottom Weatherseal for Garage Door is rated 4.4 out of 5 by 227. Rated 5 out of 5 by Stella from Very easy to install but you definitely need to people... Very easy to install but you definitely need to people to do it. Rated 5 out of 5 by Frank from I was happy to find a part that was made... I was happy to find a part that was made specifically for and by the company that produced the item I was repairing. That way I know it will be exactly like it once was. If you're content with a product, it’s comforting to know that you can keep it in great shape, rather than having to replace it. Rated 5 out of 5 by ros from Easy to install. I had 2 foot doors to put it on measured and cut and installed. Took like 15 min... Easy to install. I had 2 foot doors to put it on measured and cut and installed. Took like 15 minutes!! Rated 5 out of 5 by HomeDepotCustomer from Yes very easy.... Yes very easy. how wide is the seal? what is the size (width) of the T section on this seal? The width of the &quot;T&quot; section is 8mm.